Deutsche Bahn (DB) is to give customers around the country the opportunity to report dirty stations to cleaning crews through WhatsApp. DB is extending a pilot scheme it ran in 2017 in Berlin, Hannover and Hamburg to other parts of the country. By the end of March this year, around 240 stations, including the entire Berlin S-Bahn, will be using the app. Posters around the stations display a number that passengers can use to contact cleaners directly. A message is then sent back to the customer once the mess has been cleaned up. 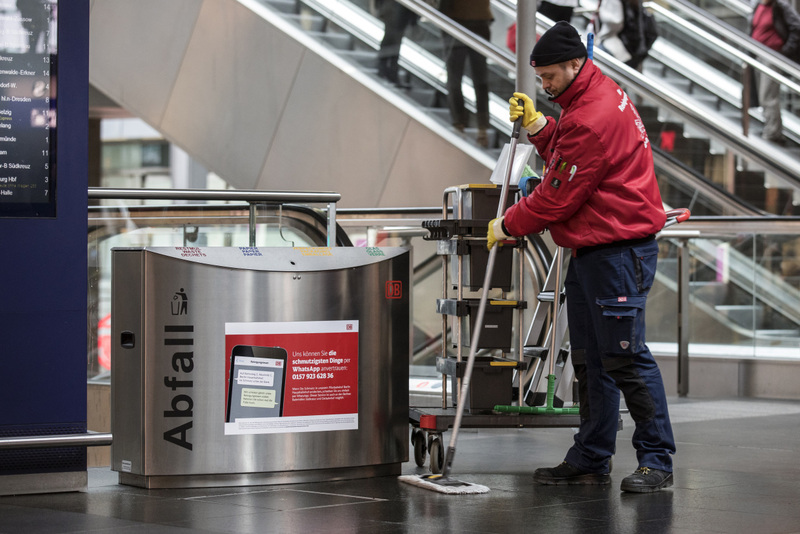 DB said it currently spends tens of millions of euros every year cleaning its 5,700 stations. 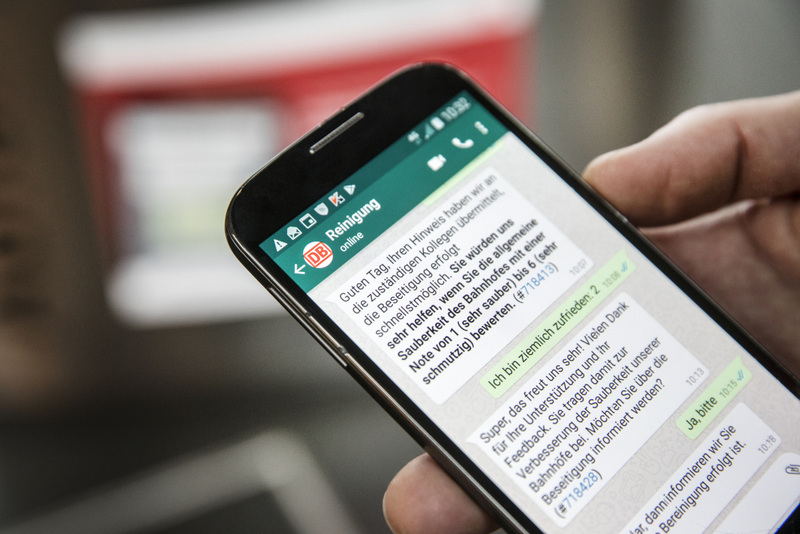 The WhatsApp trial is part of DB’s Future Railway programme.